The problems are centered east of Houston, where crews are trying to contain dangerous materials unleashed by tank fires at an Intercontinental Terminals Co. (ITC) facility. They've dealt with spiking levels of benzene, which can cause cancer; fires that reignited; and the breach of a dike that led to the partial closure of the Houston Ship Channel. On Friday, Texas Attorney General Ken Paxton (R) announced a suit against ITC on behalf of Texas regulators, saying the state will hold the company accountable for environmental damage. Lawmakers are demanding answers, and the U.S. Chemical Safety Board has disclosed plans for a probe. Residents and businesses remain on edge, but the event goes beyond any one suburb or neighborhood. The incident strikes at the heart of Greater Houston's ability to offer a safe environment for the roughly 7 million people who live in and around this longtime energy capital. The region's cluster of industrial plants and storage sites is vulnerable to accidents, natural disasters and intentional attacks. The ITC fire started March 17 and morphed into a made-for-TV event that, like flooding after Hurricane Harvey in 2017, put the region's issues before a national audience. The advocacy group Environment Texas, citing regulatory filings, said the ITC incident appeared to release more pollution than Houston-area facilities emitted in unauthorized releases in all of 2017. "It definitely puts a black eye on our city," said Daniel Cohan, an associate professor of environmental engineering at Rice University in Houston. Industrial problems aren't uncommon in the region, as an Exxon Mobil Corp. fire illustrated this month (Energywire, March 18). The ITC disaster stands out because of its length and visibility, from multiple days with a plume and odor in various areas to localized pollution issues after fires initially were extinguished last Wednesday. The company said tanks involved in the incident contained products such as naphtha and xylene, which are components in gasoline, and toluene, which is used to produce nail polish remover and paint thinner. ITC reported progress yesterday in some cleanup efforts at the site. But pollution in and around the Houston Ship Channel hampered movement of industry products over the weekend. Texas state Rep. Briscoe Cain (R) called events surrounding the ITC fire "devastating to our community." He requested a hearing. "The nation has been captivated by dramatic images of flames and smoke plumes, but our community has had to deal with the very real questions about air and water quality while waiting for information from ITC," Cain said in a statement. In an online post last week, Eric Berger of Space City Weather, a popular website for local forecasts, called the incident "pretty egregious." Elected officials should be held accountable, Berger wrote, for people they appoint to agencies such as the Texas Commission on Environmental Quality (TCEQ), "which theoretically should be preventing accidents like these, monitoring them, and ensuring they don't happen again." "The chemical industry provides many good paying jobs for the Houston region," he said, "but that doesn't mean we should accept accidents such as these as part of the bargain." Houston has sought to project a modern image in recent years that includes a downtown makeover and an ability to host major events, from the Super Bowl to the annual CERAWeek by IHS Markit energy conference. The region also continues to seek ways to reduce flooding worries, though it will take years to bolster resilience as much as leaders say is needed. Clint Pasche, senior vice president of marketing and communications for the Greater Houston Partnership, described concern about residents' health and the region's image in a statement about the ITC fire. He said he was relieved that the "smoky plume" was no longer over parts of the city. "Even if the recall of such an incident by people outside of Houston is relatively short-lived, and I suspect it will be, it does detract from our efforts to position Houston in a positive light — not only as the home of oil & gas, but also as a leader in renewable energy, digital tech, and life science, to name a few," Pasche said. The ITC fire highlighted industrial exposure in Texas, which in 2017 included flooding and explosions at an Arkema chemical facility northeast of Houston in the wake of Harvey (Energywire, May 25, 2018). 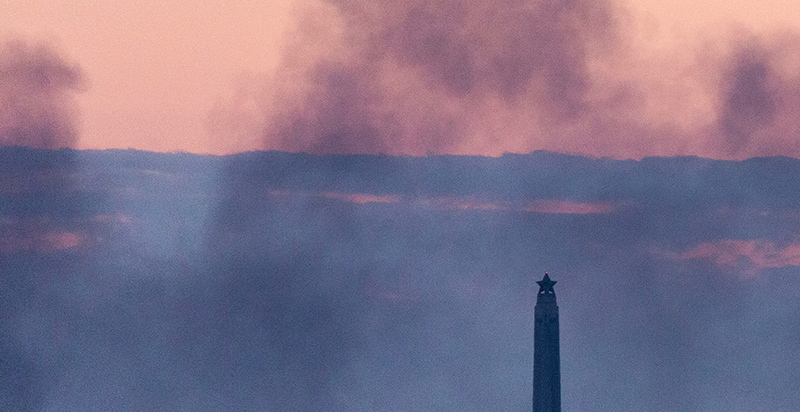 With the ITC fire, much of everyday life in and around Houston has continued even as social media saw dramatic photos and questions about where pollution might end up. Still, some school districts canceled classes for days, and the Houston Independent School District took steps to limit outdoor exposure for students. Experts said the region didn't see more initial air problems from last week's tank fires in part because the plume often was several thousand feet in the air. But that gave way to worries about localized pollution after water and foam helped to extinguish the fires. Rep. Brian Babin (R-Texas), whose district includes the affected area, pledged via Facebook "to do all within my authority as a federal official to ensure a thorough investigation into the cause so we can obtain the information needed to prevent similar accidents in the future." Rice University's Cohan said it's important for TCEQ and EPA to be strict in monitoring events, "so that you keep these accidents to a minimum and so that the public has a reason to trust." Luke Metzger, executive director of Environment Texas, said there are questions about TCEQ and its reliability. He noted gaps in monitoring data as the ITC event unfolded, and he expressed support for legislative efforts to make sure polluters are penalized when they break the law. If TCEQ had a more robust regulatory enforcement regime, Metzger said, "we might have prevented this and similar accidents from happening." On Twitter, he noted the state's lawsuit over the recent incident and said Texas should seek a "massive penalty" as well as an overhaul of how companies such as ITC operate. TCEQ has faced questions about a decision not to use potential NASA assistance in monitoring air quality after Harvey in 2017. The Texas commission recently defended its decision in a letter to lawmakers (Greenwire, March 20). In a recent news release, TCEQ described work with an environmental contractor and the Coast Guard to contain runoff from the ITC site via booms and storage containers. TCEQ also noted periods with high levels of benzene. Last week, the Houston Chronicle reported that various regulators had hit ITC with penalties over the years. In a recent editorial, the Houston newspaper argued that Texas agencies should do more than deliver another "paltry fine" if investigations show ITC regulatory violations were a factor in the fire. "We shouldn't have to choose between a thriving economy and our health," the editorial said. "Responsible companies can and should deliver both." Ed Hirs, an energy economist with the University of Houston, questioned the coordination between industry and government once the fire started. He was surprised the fire lasted several days. The event reinforced Hirs' view about the strategic vulnerability of the Houston Ship Channel and surrounding facilities. An attack on the area that's widespread could be devastating, he said. If companies aren't willing to make expenditures to maintain an effective first response team, Hirs said, Harris County government will have to take it on. He said that could mean levying "some sort of tax on these entities." For now, ITC has a website in place as a way to help people submit business and individual claims related to the event. The company has apologized publicly for the incident. E&E News sought — but didn't receive — a comment from ITC on Texas' lawsuit. More details are expected to emerge about the incident and its aftermath. The Texas attorney general's court filing cites ITC in pointing toward a leak in a pipe. Cohan said last week that authorities will need to get to the bottom of what allowed the fire to happen. The risk of a serious incident looms in the Houston area, Cohan said, "even if 99.9 percent of the facilities and tanks are doing fine."